A Leeds United fan who was convinced his team would fail to score against Middlesbrough is set to get a unique tattoo after his side’s late equaliser. Dan Berry, 19, was listening to the Championship game from his home when he decided to tweet his frustrations around 70 minutes in. 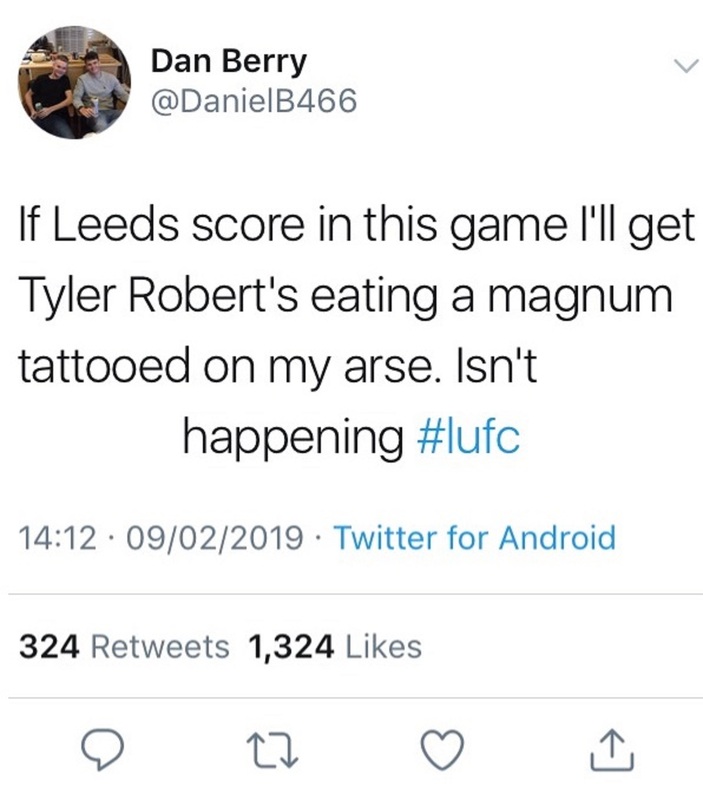 “If Leeds score in this game I’ll get Tyler Robert’s (sic) eating a magnum tattooed on my arse. Isn’t f****** happening,” Dan wrote. “The game was about 70 minutes in and Leeds were having loads of chances but wasting them all,” Dan told the Press Association. For a long time it looked as though Berry’s frustration was well-founded as Leeds failed to level the scores. But in the 11th minute of injury time, Kalvin Phillips headed in the equaliser that briefly took Leeds top of the Championship before Norwich retook top spot with a win against local rivals Ipswich the next day. 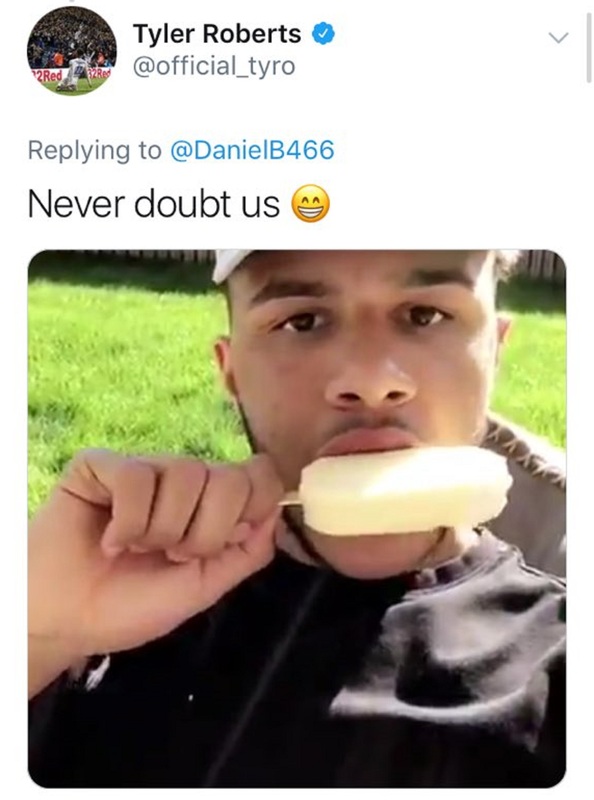 And if Berry thought he would get away with his tweet amid the celebrations, centre-forward Roberts had other ideas, replying: “Never doubt us” accompanied by the aforementioned Magnum video. “I expected a lot of fans to come across the tweet and retweet it but I wasn’t expecting Roberts and the club to come across it,” said Dan.